Center for Documentary Studies (CDS) has always been a laboratory of sorts—a place where people gather to learn, produce, and present the documentary arts in many styles and perspectives across all mediums. Our new DocX lab initiative expands on that foundation. 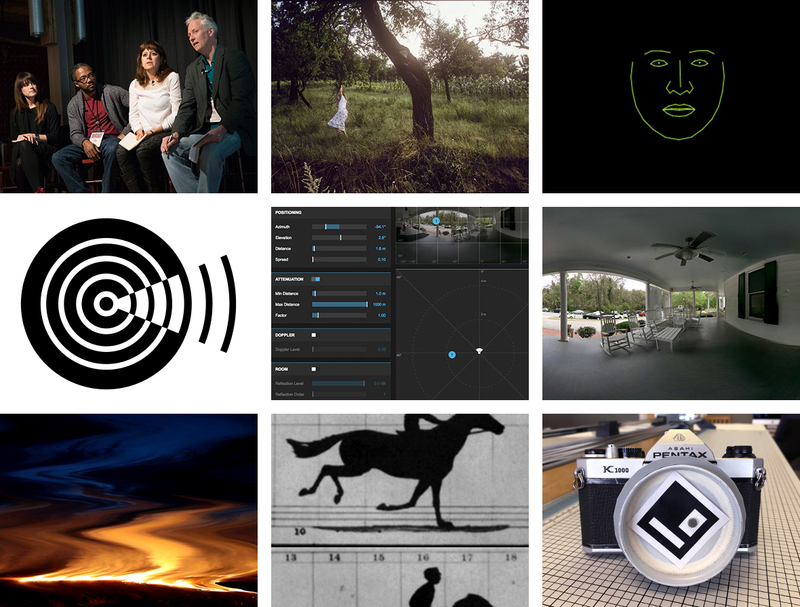 Doc X is an innovative space to experiment and engage in technology-influenced, imaginative thinking around documentary forms, styles, and perspectives. With DocX, we bring together journalists, designers, editors and curators, and other professionals working in photography, film, video, writing, audio, experimental and new media to engage both analog and digital technologies. CDS Shortwave: One of DocX’s first projects is an experiment in new approaches to nonfiction storytelling, a digital space with an analog soul that invites visitors to slow down, explore, and discover. An old shortwave radio in our offices—its elements of transmitting and receiving, of participation and discovery across great distances—was our inspiration and guiding metaphor. Susan E. Tifft Initiative on Documentary and Journalism: DocX is concerned with creating relationships and unlocking potential for intersections across the documentary arts and journalism, as both fields evolve in the digital era. The Tifft Initiative includes the Susan Tifft Fellows program. The X in DocX is a variable: Future projects will evolve as the practice of documentary itself evolves and as new possibilities emerge in the creation of narrative forms. The spirit of DocX remains a constant, though, driven by what documentary artists need to make their work most resonant in the world. Images from top to bottom, left to right (all photos of and by panelists are taken from CDS's 2015 Origins and Inventions national forum): Elaine McMillion Sheldon, Al Letson, Anayansi Dias Cortez, and John Biewen on the "Interactions and Impact" panel, photo by Anna Spelman; photo by Sylvia Plachy from her presentation during the “In Place: Hidden Histories” panel; detail from eye-recognition scanning software demo being developed in DocX; details from interactive, 360-degree sound and image presentations of the CDS front porch developed in DocX; still from “visual tuner” website being developed in DocX; still from “virtual moving image projector” being developed in DocX; “virtual tuner camera case” being developed in DocX. The DocX pilot was funded by a generous grant from the Reva and David Logan Foundation. Further support has been provided by the Revada Foundation.